This is a place where the core subjects of mathematics, art, architecture, science and nature are brought together in fascinating ways. 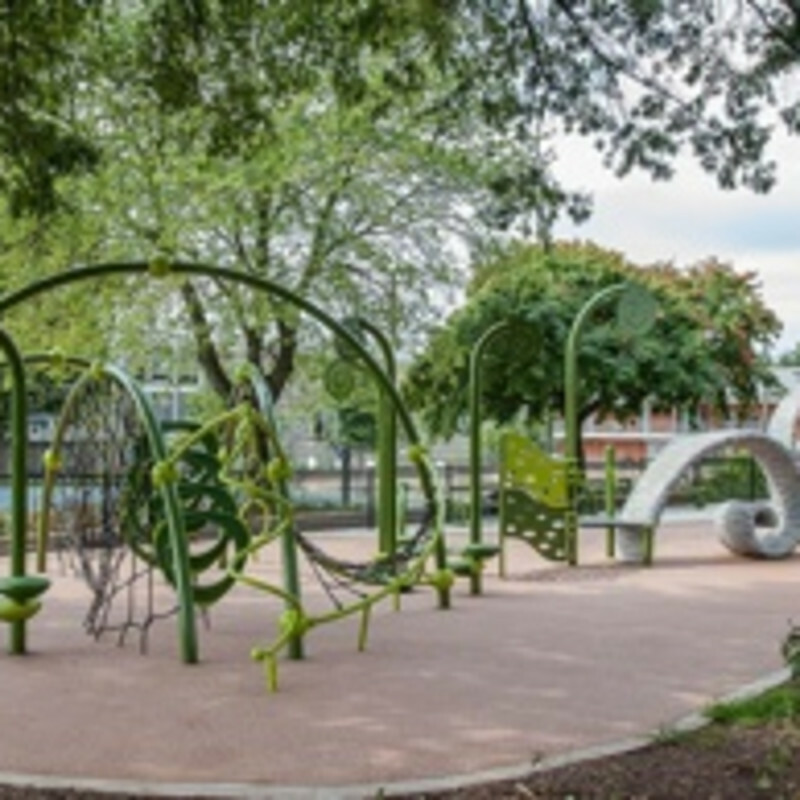 The quirky and fun look of the green structures at Harry Thomas Sr. Playspace belie the fact that an important scientific principle is on display. The playground explores the Fibonacci sequence, the numerical wonder that is a simple pattern where each number is the sum of the two numbers that proceed it. The golden ratio that follows seems to be present in an unending number of structures and patterns in the natural environment. This playground beautifully demonstrates these principles and teaches children about it at the same time.